The EU now boasts a stockpile of nearly €780 billion of NPLs, according to the European Banking Authority. This presents a major opportunity for investors, as the region’s largest banks continue to clean up their balance sheets, creating a growing market for dealing with their bad assets. This figure is down from a peak in 2015, when economic recoveries started to take hold in hard-hit crisis countries such as Ireland and Spain. 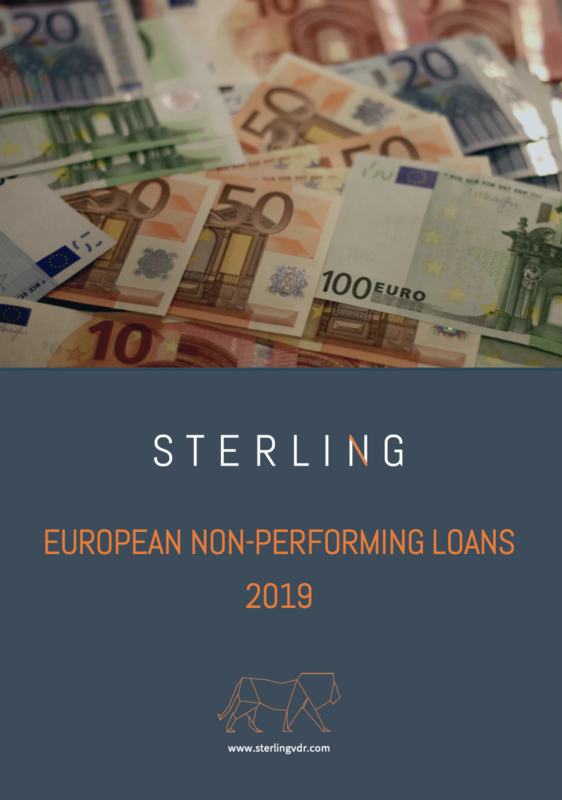 But, even as the proportion of NPLs on banks’ books declines for the EU as a whole (from 7.5% in 2015 to 5% at the end of 2017), banks in Italy and Greece continue to struggle with rising NPLs amid a continuing flow of bad loans and faltering economic recoveries. This has huge implications for bank profitability and the ability of financial institutions to lend to businesses. And, as we begin 2019 with whispered warnings of recession in the air, it’s unlikely that distressed-credit managers and investors seeking upside from managing NPLs will be any less busy in the year ahead. Copyright © 2018 Sterling Technology Ltd. All Rights Reserved.